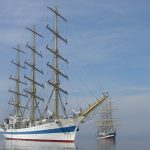 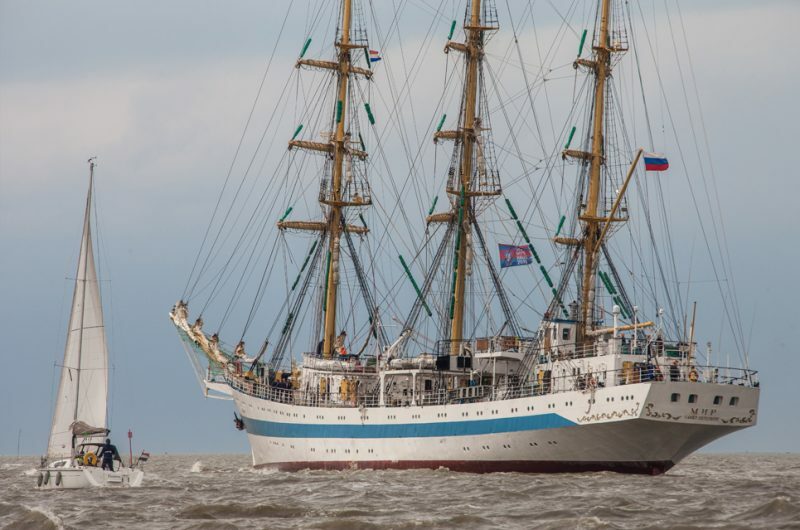 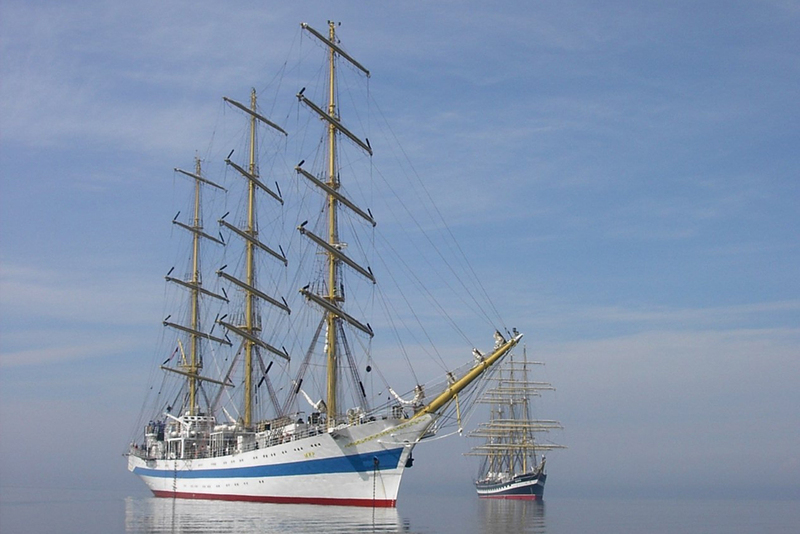 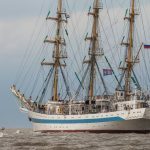 “Mir”, which means Peace, was built as the third of five sister ships at the Lenin-shipyard in Gdansk, Poland, based on a new type of design for square rigged training vessels. 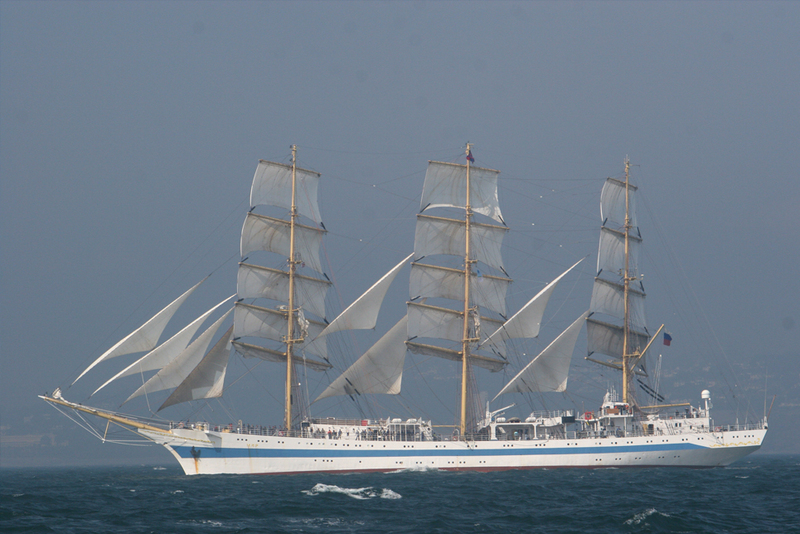 The first ship of this design was called Dar Mlodziezy, which was built to replace the old sail training ship Dar Pormoza for the Polish merchant navy. 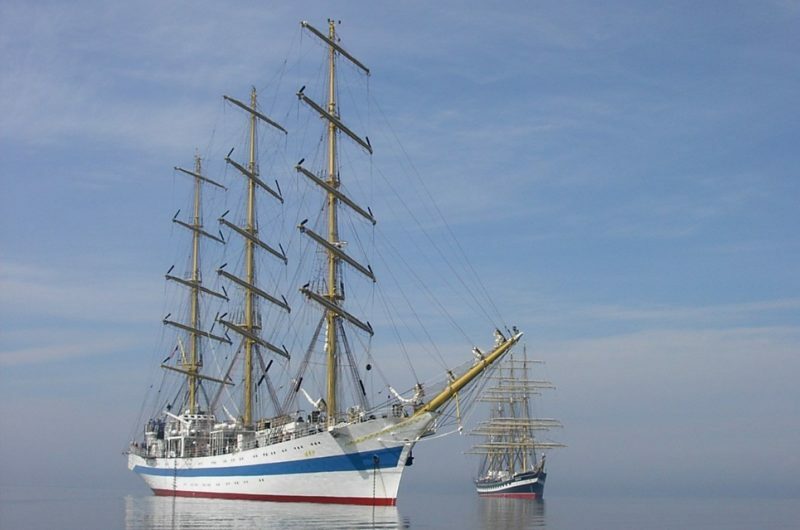 Russia then decided that she wanted a similar design for five ships as part of a trading deal with Poland. 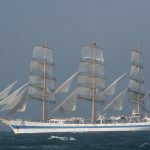 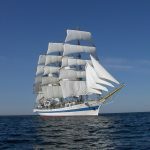 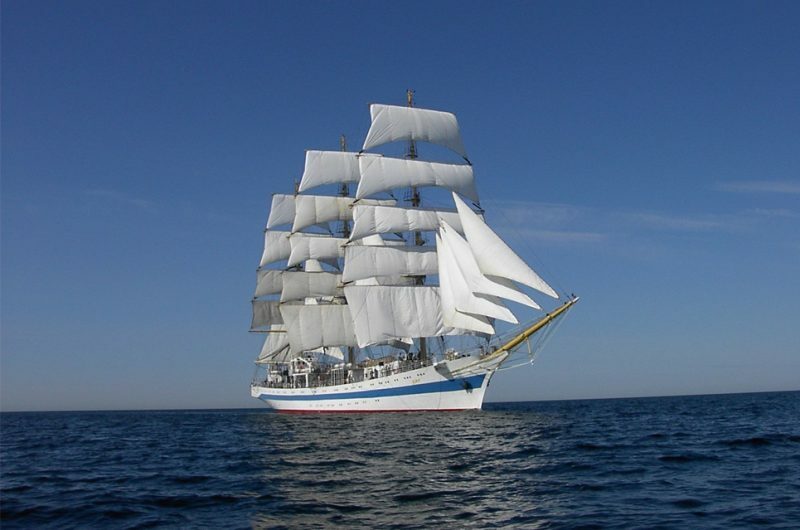 First came Druzhba and then in 1987 Mir for which the rigging design was slightly altered so that she could sail closer to the wind – up to 30 degrees rather than the usual 60 degrees for square riggers. 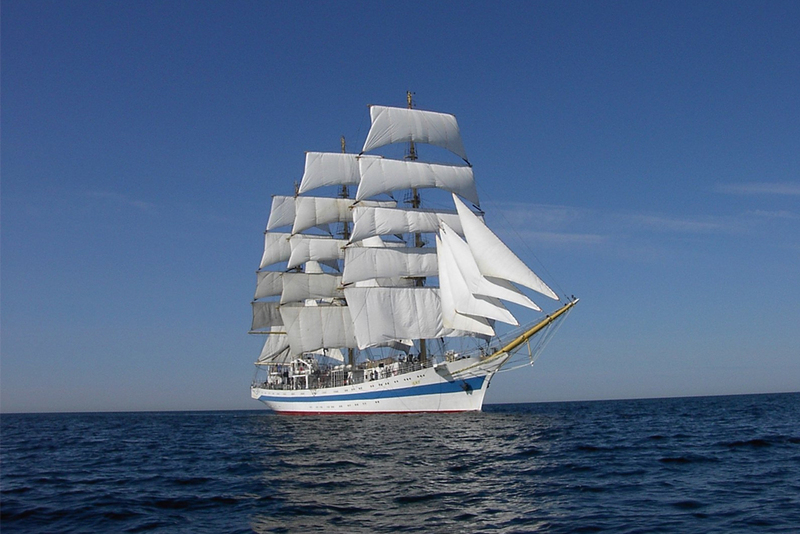 Mir’s full complement of sails is 26. 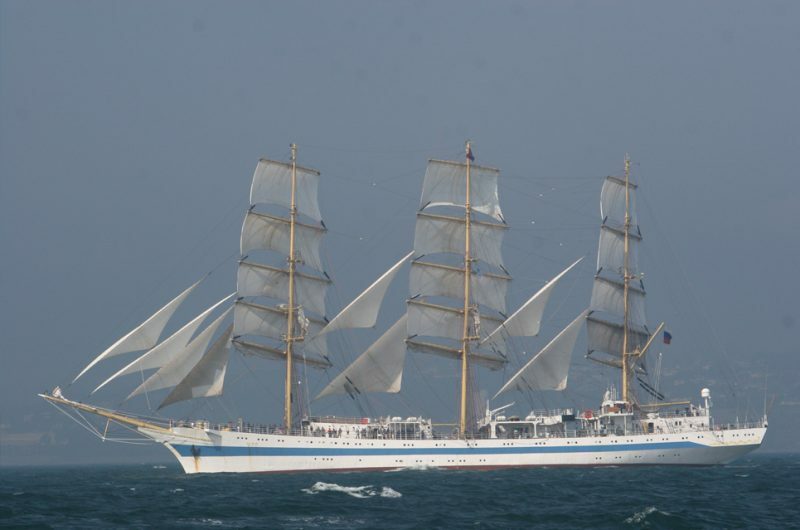 She is sailed with a crew of 200 but can be sailed with only 30.